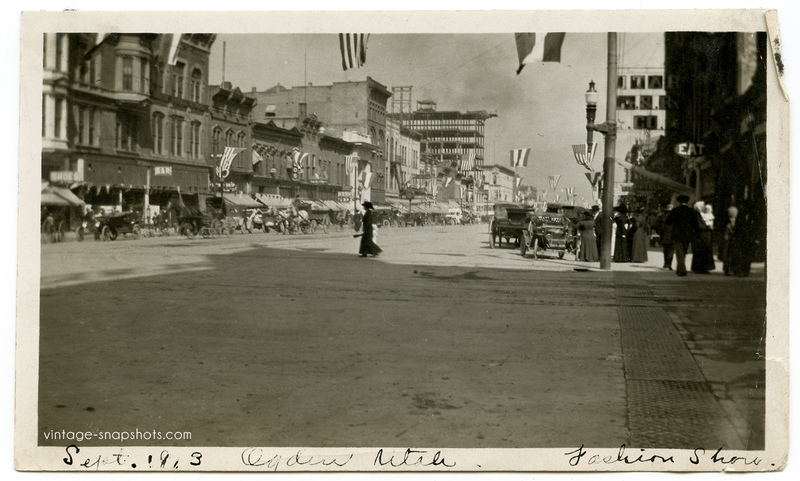 This photo is dated Sept. 1913 and is labeled “Fashion Show” at bottom right – and the streets do appear to have been decorated for an event. What I find intriguing, though – apart from the horse and buggy/automobile combination I talked about previously – are the signs you can just about make out. At far left there is a blurry one for “Shoes,” while the next door down is “Bar,” and across the street you find “Eat.” Nice and simple. Following on from my last post, on a very early automobile being scrutinized by some people from their window, here is another transportation-related shot involving a transition between eras. It looks like it was probably a good way of getting around. 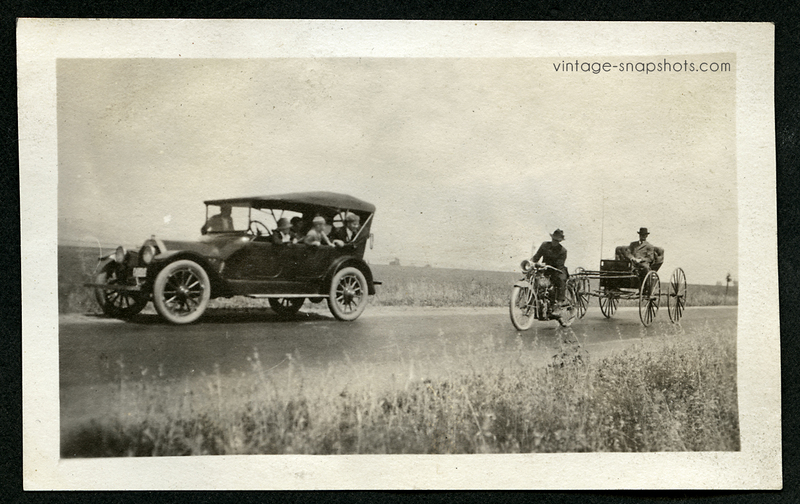 The people in the car certainly seem intrigued. I have always been curious about the period in which horses, buggies/wagons and cars coexisted, and several years ago met a man in his mid-nineties living in Covina, CA (near where I grew up) who described arriving there from Texas (via a just-opened Route 66) about 1927. He said people on horseback were still somewhat common in that small town at the time, though I don’t know about buggies or wagons.